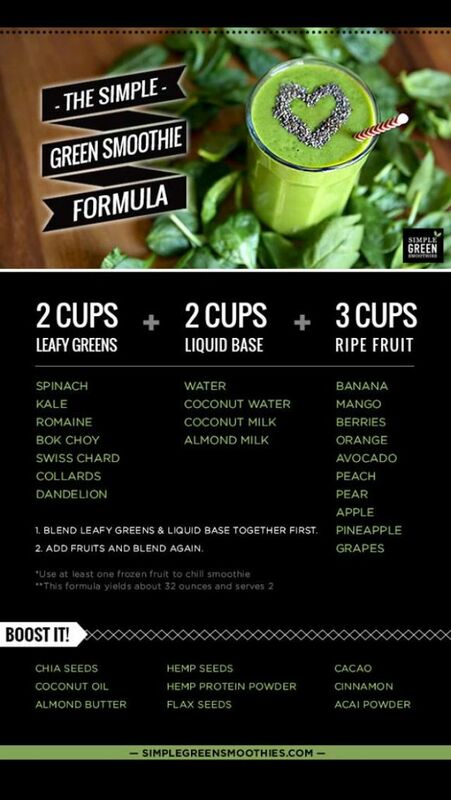 A simple formula for making green smoothies: leafy greens + liquid base + fruit + superfood. Make sure to blend up the greens with the liquid first and then add the rest of your ingredients and blend until smooth. If you are looking to make a complete meal in a cup, add a source of protein and a healthy fat (avocado, coconut oil/butter or nut butter). Place everything except ice into a blender and blend until smooth. Add ice cubes, a few at a time, until desired consistency is reached. Blend ingredients in order listed until smooth.